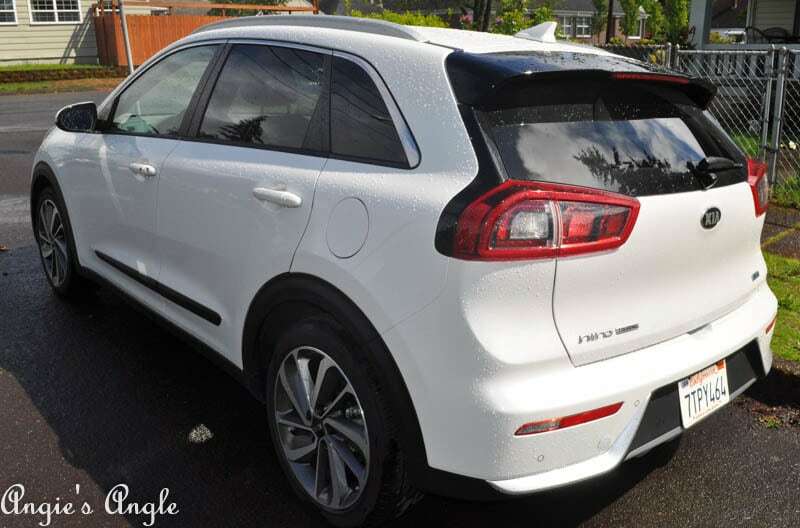 Thanks to Kia for the lovely Kia Niro for two weeks for this review. However, all thoughts are 100% my own. Courage. It takes courage to be a blogger. You might not think so, but to branch out and grow you need to ask for what you want or need. Having worked with DriveShop for almost a year now and having so much enjoyed the process of testing out cars. Felt it was time to branch out and a bit and take a big step to ask the manufacturer if they’d want to work with me. Being honest, I am not a big blogger. My readership grows and stays steady for a while and then drops back down. Quite a bit of that is my fault for not keeping up with posting & having the ideas flowing. Since I am small, getting companies to work with me can be challenging. So when reaching out to Kia to work with them, I didn’t hold my breath. Surprisingly I received a yes back fairly quickly. And having asked for the Kia Niro or the Kia Sportage first, I never dreamed I’d be getting the new Kia Niro as my first test car straight from Kia. 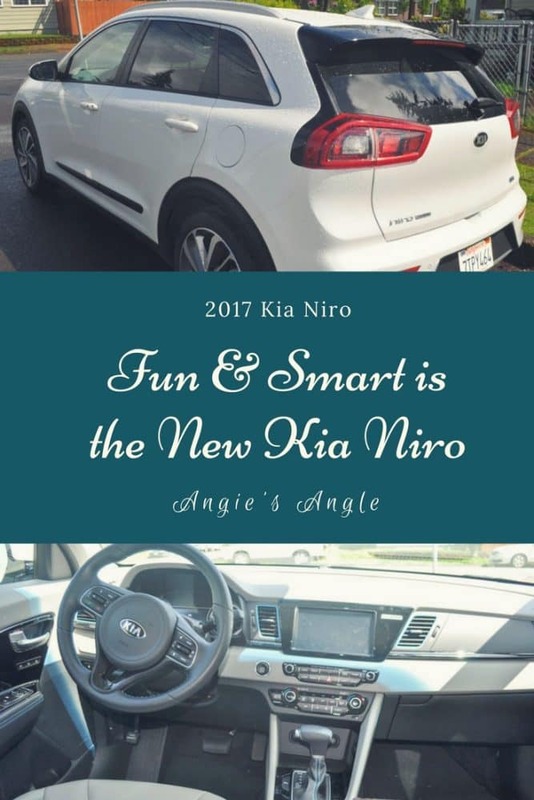 But I did and I am thrilled to share with you all today what we thought of the new Kia Niro! This is the second Kia I have had the honor of testing out. Have to admit that I am a fan of Kia because of the two test drives. Before these, I wasn’t really that aware of Kia or really any single car line. We found the 2016 Kia Sedona super comfortable and such a smooth ride. The bells and whistles made driving it a dream. The new Kia Niro wasn’t any different for us. We were thrilled with this little number and think you all might be too. We first took note of this model during the Superbowl commercial for it. Granted, I had drifted off when it came on and Jason said you have to see this commercial. Luckily it came on again later that evening so I was able to catch it again. Since we are in the market for a new car this year, this one really peeked our interest. A hybrid SUV, say what? Immediately we looked it up to get a few more details about the car. So when I had a chance to ask for this exact car, I was giddy. 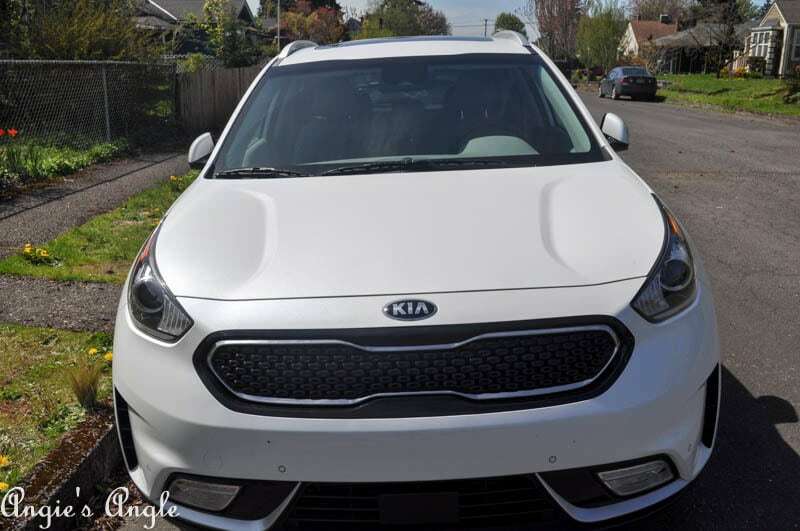 The new Kia Niro model I got was the touring, which average 43 mpg (46 city & 40 highway). We ended up getting 40 on our little trip to Spirit Mountain Casino. Which is about an hour and a half from us. We were also stuck in a bit of traffic while leaving as well. Yet, our mileage was amazing! I could happily live with that as our regular vehicle, couldn’t you? I used the cruise control with driver assistance system after leaving Portland traffic, my first time using it. And boy was that fun. It notes when you are getting close to another car and slows down for you. Keeping you at a safe distance. The power changes between hybrid and gas which you don’t feel at all. I noted more than braking when getting close to a car and the speeding up when you were free to go the speed limit you set. Roxy took a couple selfies on our drive. 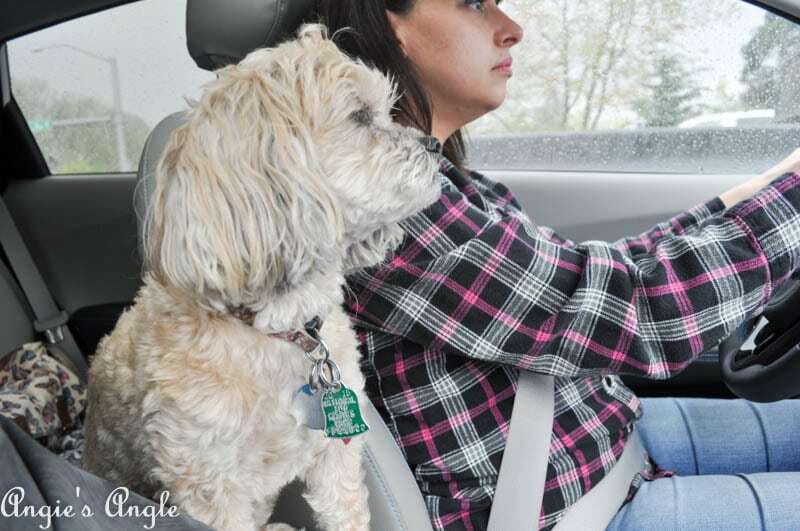 She gets pretty giddy with this test drives, she says she’d like them more often. 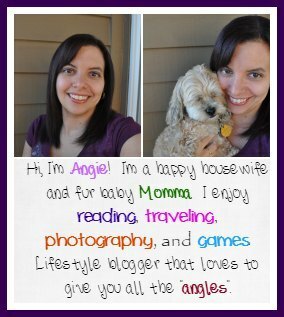 Would you like to see more on Angie’s Angle as well? This new Kia Niro 2017 Touring model will run you $29,650 to $32, 840. That seems right about the cost of other SUV models and you can get the hybrid power to save you more money in the long run. Tire Pressure Monitoring System – it tells you the tire pressure in each tire. How neat is that? No more guessing if you need more air. 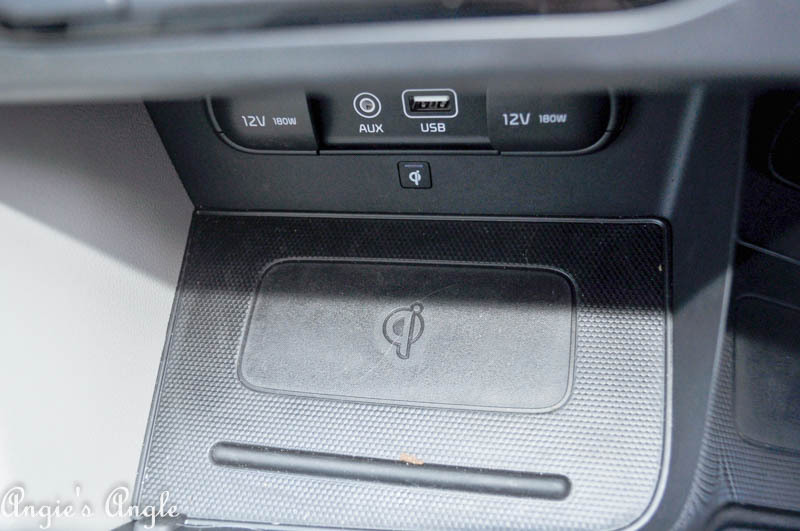 Heated & Ventilated Front Seats – now heated seats themselves seem pretty common anymore in new models, but cooling too? Say what? 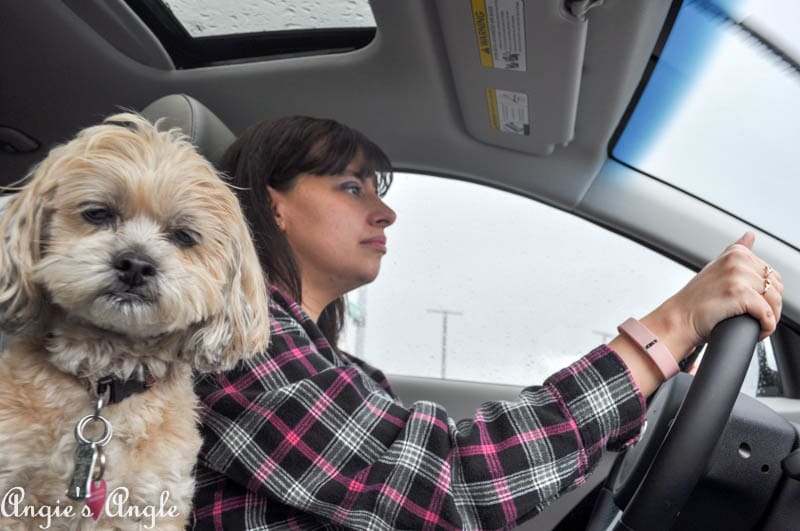 Heated Steering Wheel – my personal favorite feature, ever. My hands are almost always cold so being able to warm up my hands while driving. Insanely happy woman! A couple of things that make it a little less likely that this could be our new car. There is no option for AWD, which would be something we could really use and feel a bit more sure going over the mountains in the winter. 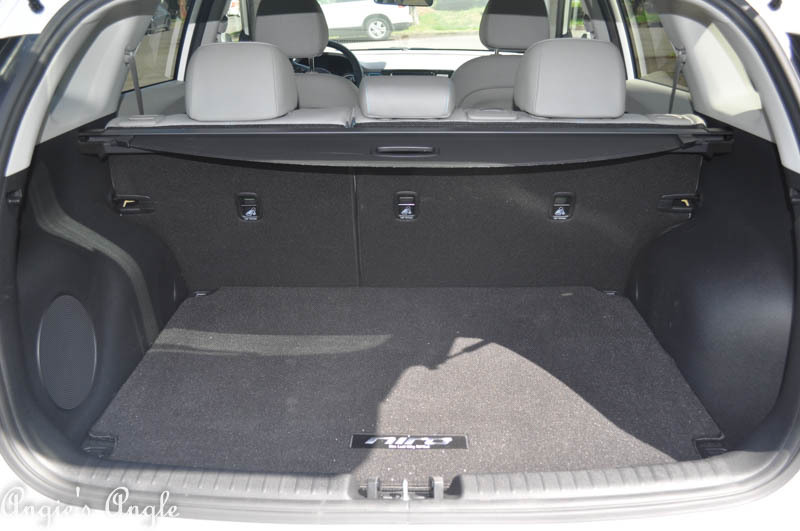 Also, the cargo area was a bit tinier (only a bit) than our previous SUV models. Those are the only two things that are lacking in our eyes to make it 100% our next car. It still may be though. 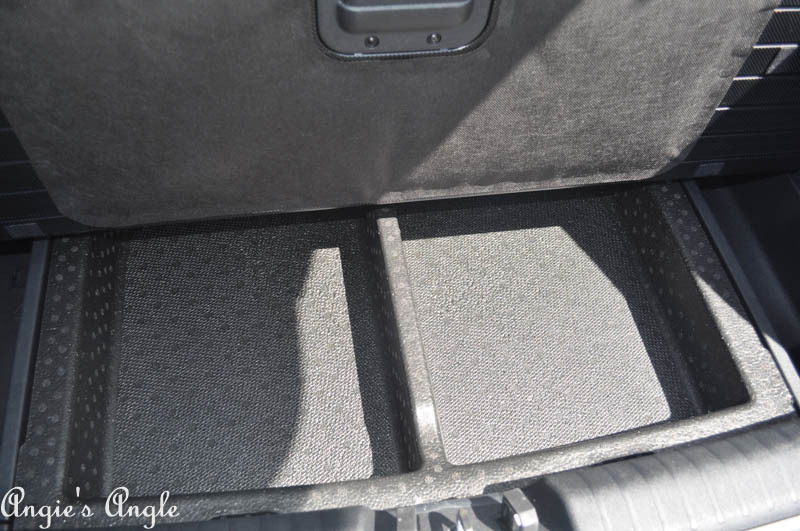 The cargo area though, had this super neat drawer-like area under the mat to store tools and what not without taking up valuable space in the cargo area. Overall, we were thrilled with this cute little Kia Niro. It was hard to let it go at the end of our two weeks. Are you in the market for a new car? Have you thought about a hybrid? I think you may want to look at this model a bit closer. It doesn’t feel or act like an electric vehicle at all.